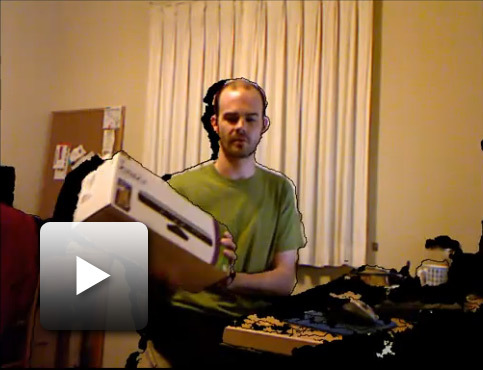 First test of merging the 3D video streams from two Kinect cameras into a single 3D reconstruction. The cameras were placed at an angle of about 90 degrees, aimed at the same spot in 3D space. The two cameras were calibrated internally using the method described in the previous video, and were calibrated externally (with respect to each other) using a flat checkerboard calibration pattern and manual measurements. Visit Oliver’s YouTube channel to view the latest videos exploring all possibilities.